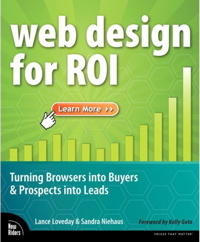 I had the pleasure of reading Web Design for ROI: Turning Browsers into Buyers & Prospects into Leads last weekend. Lance Loveday and Sandra Niehaus of Closed Loop Marketing have done a fine job in tuning 22 years of combined experience into a reader-friendly, visually stimulating guide to web usability and design. Even if you’ve read books like Steve Krug’s “Don’t Make Me think” or Jakob Nielsen’s “Prioritizing Web Usability,” you’ll glean some good information from WD4ROI. Because web design and usability is constantly evolving, it’s nice to see current examples and screen shots. Like these books, WD4ROI doesn’t offer step-by-step design checklists or claim any absolute rules, but gives you guidelines with rationale that you can apply to your own site where it makes sense. 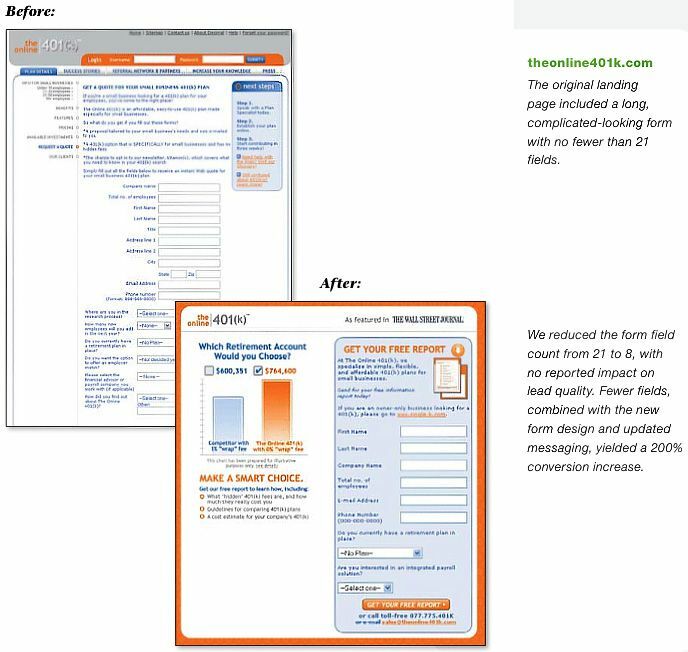 I was quite impressed with the examples and screen shots provided, along with results of their own before and after testing on client redesign projects. Online retailers / managers who are involved in approving budget allocation – you’ll see why investing in more traffic is far less profitable than investing in conversion optimization. Marketing strategists who are continually testing and tweaking websites to maximize conversion rates – you’ll find inspiration on what to test next. Web designers and developers – it’s important to understand how design and programming decisions affect actual user experience and client success. When you can pull together these concepts for your client, you’re all the more valuable. You can order the book from Amazon , subscribe to the book’s blog, the book’s home page, the authors’ home page or the authors’ blog.